- Career & Technology - H.V.A.C. The H.V.A.C. 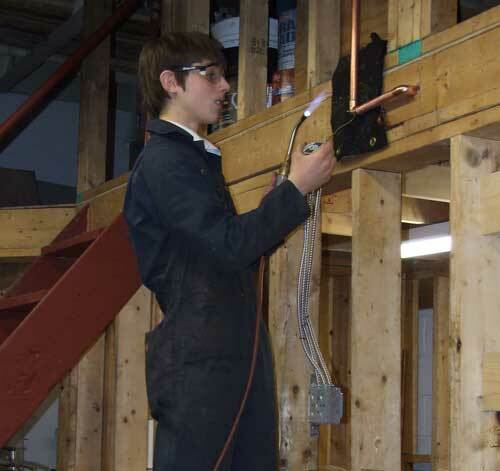 program prepares individuals to apply technical knowledge and skills to install, repair and maintain commercial and domestic heating, air conditioning and refrigeration systems. Instruction includes theory and application of basic principles involved in conditioning of air (cooling and heating); filtering and controlling humidity; operating characteristics of various units and parts; blueprint reading; use of technical reference manuals; the diagnosis of malfunctions; overhaul, repair and adjustment of units and parts such as pumps, compressors, valves, springs and connections; and repair of electric/electronic and pneumatic control systems. The four year program includes all phases of the trade and it is of the utmost importance that the student accomplishes the required competencies to be fully qualified for immediate employment in the trade after graduation. Students completing this program are skilled, knowledgeable, and able to meet the needs of the industry today and well into the future. "A great learning experience. One of the best choices that I have ever made. West Side CTC really helped prepare me for the future." 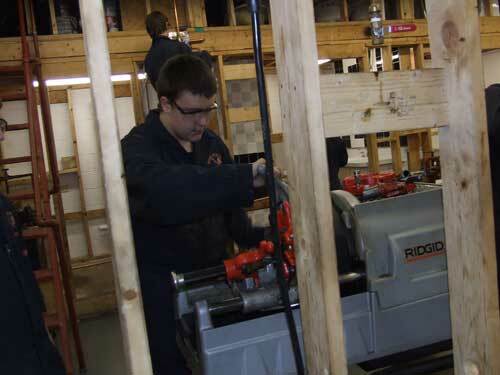 "West Side CTC plumbing shop gave me the tools of knowledge and ability to succeed in the plumbing trade. Educationally and socially, WSCTC is the best vocational school I could have gone to."